Perth-based energy giant SSE said on Thursday it is continuing to work on “future options” for its retail supply arm SSE Energy Services after the collapse of its merger plans with npower last year. 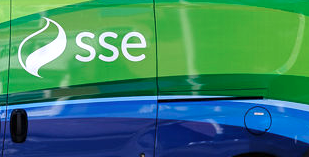 SSE said it is looking at potential “external collateral arrangements” as it explores a potential demerger and separate stock market listing for the division — or even a sale. SSE said that if these options are not workable it will look to keep the division as a separate business within the group. “Work on the future options for SSE Energy Services, set out in SSE’s Q3 Trading Statement on 8 February, is continuing, including progress on potential external collateral arrangements that may support the opportunities for a future outside the SSE Group,” said SSE. “Should these options not be viable, SSE would expect to retain Energy Services as a separate entity within the SSE Group. “All options are being assessed with the interests of customers, employees and shareholders being given full consideration. In line with SSE’s plans for its dividend set out in May 2018, SSE still expects the dividend to be set at 80p per share for 2019/20. SSE finance director Gregor Alexander said: “We are making encouraging progress in our core businesses of regulated energy networks and renewable energy, complemented by flexible thermal generation and business energy sales. “Our disposals and stake sell-downs have generated over £1bn in proceeds, demonstrating our ability to create value for shareholders from developing and operating world class assets.